Want to know what Net Listing means? Well, Net Listings are a type of listing where the home seller sets a minimum price he/she is willing to sell the property for and whatever amount above that minimum the real estate agent manages to get from a home buyer's offer, becomes the real estate agent’s commission. Say home seller comes up to a broker and says " Hey, Broker! I'd like to sell my house. But I can't sell my house for under $100,000; that is my bottom line." If the broker or the real estate agent working with him sells the house for $150,000, their commission will be $50,000. 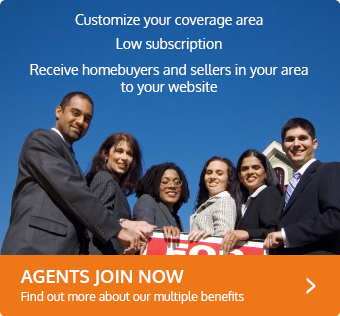 However, Net Listings are not always recommended, as they very often lead to lawsuits and perceived financial losses. In fact, they are illegal in states like New Jersey, Georgia, and Virginia. In other states like California and Texas, although Net Listings are legal, there are laws that are designed to safeguard both parties from the potential problems of this specific listing. If you are a home seller, you might feel cheated if the house sells for a much bigger amount than what you thought was your house’s real Fair Market Value, and if you are a real estate agent in a Buyer’s Market getting offers that don’t generate good commissions, you might be tempted not to show them to the home seller until you get a good one, so it’s always important to be cautious regarding Net Listings and its conflict of interests. Net Listings are one of the 5 types of Listings. If you are not sure if Net Listings are the right choice for you, check our Glossary Terms for the other four types of Listings: Exclusive Right to Sell Listing, Exclusive Agency Listing, Multiple Listing and Open Listing. Need a trustworthy Real Estate Agent to guide you through what is the best listing for your property? 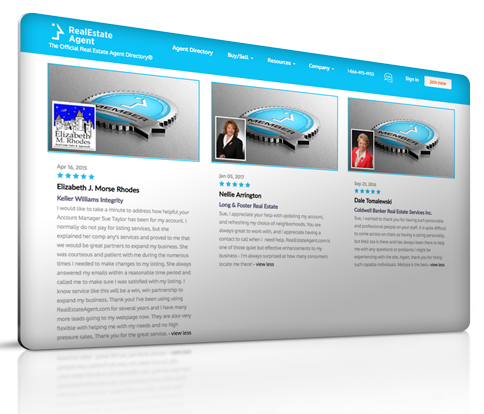 Use our Real Estate Agent Directory and find the one best suited for you! According to 2017 Kentucky PSI Real Estate Exam Prep Questions, Answers & Explanations book published by Real Estate Exam Professionals Ltd., officially, listings based on net price are illegal because they introduce a potential conflict of interest for the broker. They are considered unethical and are illegal in most states. How can I find guidelines and terms of a net listing? What kind of guidelines and term are you looking for? Since it's a bilateral contract between you and the agent you can have on it whatever you want and the other party agrees to. For the most common or important safeguards on this otherwise very unsafe type of listing, we recommend you get in contact with a real estate lawyer. On what type of listing may a net listing be used where they are legal? It's not exactly on what type of listing they can be used. Net Listing IS a type of listing in itself. The problem is that they are not legal in many states. In some, they are legal, but the local board of real estate agents does not recommend it. The truth is that, when it's good, it's great. But when it goes awry, it's awful and one of the parts (home seller or real estate agent) will get the bad end of the stick. As of the time we write this comment, Florida and California are two states where Net Listings are frowned upon, but legal. And some of them have specific guidelines that need to be followed when doing a Net Listing, otherwise, it becomes an illegal transaction. Your state of Georgia, for instance, does not allow this listing agreement. What is a negative amortization? What is a front-end ratio? Does a Finished Basement Add to Taxes? What is an annuity? How to stop a lien on your property?